May 16 , by Mardi Robyn. Here is another tutorial by Gajay. This pretty necklace is made using lace and wire. Gajay says it only takes minutes to make, it is that easy! 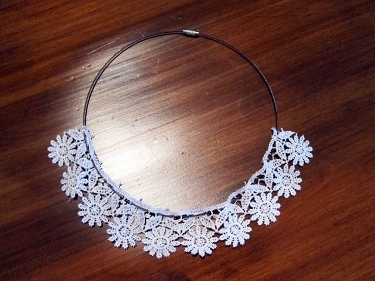 Check it out and learn how she made this Simple Lace Necklace. Thank you for featuring my lace necklace.